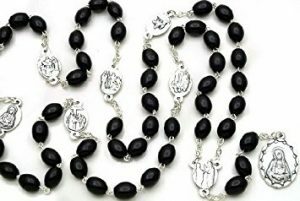 Our Lady of the Rosary, Our Lady of Mercy, Our Lady of Carmel, Our Lady of Lourdes are but a few. 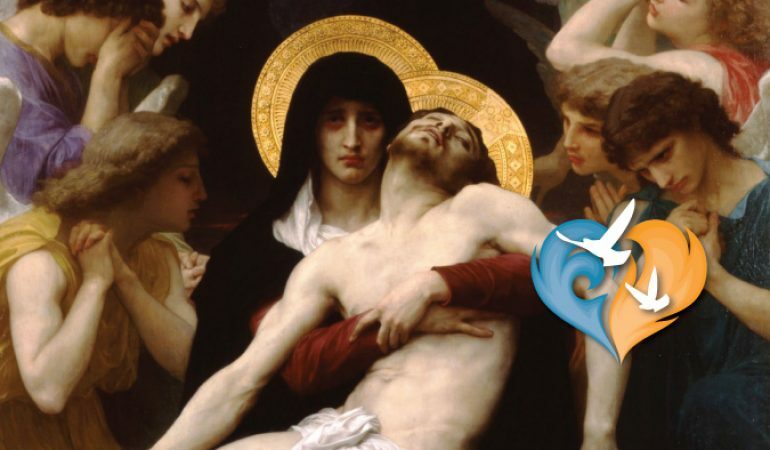 This week we will celebrate another one—Our Lady of Sorrows. As the greatest spy in the Enemy’s camp, Mary has many aliases. It seems like it would be much simpler though to just call her St. Mary, a name that is actually rarely used. Why do we need to have so many names for one person?
. She distributes these treasures not just with the solicitude of a benevolent Queen but with the tenderness of a Mother. Each of these titles then serves as a reminder of the specific powers she has been given and her overwhelming desire to be intimately involved in our coming to her Son. The titles are more than just a list of credentials however. The Church’s approval of a given title is usually marked by the addition of a liturgical celebration; what we believe is revealed in how we pray—lex orandi, lex credendi. By approving a given title, the Church gives the children of Mary a right to expect her to act in a very specific way. That the faithful have a right to expect her to act is not inconsequential. The Church’s binding and loosing power in many ways binds God and puts Him on the hook to act. When the Church approves the title of Our Lady of Lourdes for example, it gives us the right when we are sick to call upon Mary under that title and count on her direct action. By simply referring to her as St. Mary, this power can be easily overlooked. Given what has been said and the particular timing, it is beneficial to reflect upon the title Our Lady of Sorrows. This particular title really flows from a belief in Mary as the Immaculate Conception. Without the stain of Original Sin, Mary’s reason and will always had total control over her passions and emotions. If we reflect upon this for a moment however we realize that this unique gift t actually made her more sensitive to suffering than we could possibly imagine. As fallen creatures we suffer from a darkening of our intellects, a weakening of our wills while our passions can run wild. By not inheriting a fallen human nature, Mary had perfect integrity of soul. Her soul was perfectly ordered so that she had no ignorance, her will was always ordered to love of God, and her passions were always under the control of reason and will. This did not make her a stoic however but caused her to feel her emotions. She was never ignorant of the evil of sin. As the “handmaid of the Lord” her heart was always consumed by a love of God. Our imperfection often makes us insensible to evil and our hearts are consumed by love of self. Hidden in this is a great law in the spiritual life. Suffering is always proportional to one’s holiness. Being holy one naturally feels all things more acutely, including the evil of sin. Mary, as the holiest of God’s creatures then carried a great weight of sorrow. With such a perfect love of God as the One offended by sin and love of her Son Whom sin crucifies she suffered immensely. In our sufferings we normally remain ignorant to half our misfortune, finding ourselves somewhat numb, whereas Our Lady was flooded with a light that was painful. Next to Our Lord, Mary’s sufferings were greater than anyone’s in human history. Most doctors of the Church think it was only a singular grace that kept her from dying with her Son, making her a martyr in the truest sense and crowning her Queen of Martyrs. Relevant to our discussion here is that having suffered so greatly, so has great compassion for her children during their suffering. As a Mother it greatly pains her to watch their suffering and she does all that she can to relive their pains when they call upon her. Secondly, by meditating upon her sorrows we will grow in sorrow for our own sins. Finally through our growth in the knowledge of Our Lady’s share in the sufferings of Our Lord keeps her from being seen a mere instrument but as our true Mother. Our Lady of Sorrows, cause of our joy, pray for us!